Welcome to our new ideas hub. Passionate about Ealing? Want to transform it with inspiring projects? Looking to bring your ideas to life, discuss innovative new initiatives and help build our new neighbourhood plan? 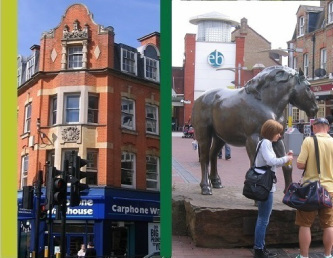 What do y﻿ou want for Ealing? Spread the word about what is happening, and what we're doing. Like us on Facebook or Twitter @EalingForum to show your support. 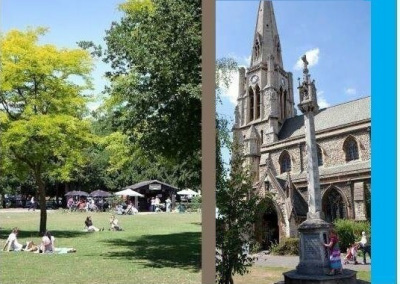 To create the change we want in Ealing, CENF is creating a Neighbourhood Plan. The Neighbourhood Forum (local residents and businesses working together) is overseeing the making of the Plan. Everyone can take part. It's free to all who live, work, study or just visit here to join and to contribute ideas. We’ve got four topic groups (listed under Our Vision above) – find out more on each page. We want to hear from you now. ﻿We’﻿ve﻿ just r﻿un our second round of discussions on the issues and options called "Your Town - Your Plan" on what should be covered in our Plan. Do look at the choices we have set out. You may think we've missed some obvious things, or got the wrong idea about what people want. Let us know, so we can consider all ideas before the next stage of policy development. We've extended the close date to 19 September, so move fast. We're also about to launch a competition for young people, with prizes for the winning teams with the best ideas. Get everyone to join in! Details soon.